Location: Our Warsaw Office (Zabraniecka 20). Do you want to join the internal GDPR experts team and lead privacy compliance processes connected to sales & brand management? P&G is the world's largest consumer goods company with operations in 70 countries, more than 80 billion US$ in revenues and with 25 Billion-Dollar Brands, such as Gillette®, Ariel®, Pantene® and Oral-B®. Being ranked as the Best Company for Developing Leaders by the Hay Group in 2013 and in 2014, we are sure to have the right opportunity for you, right now. 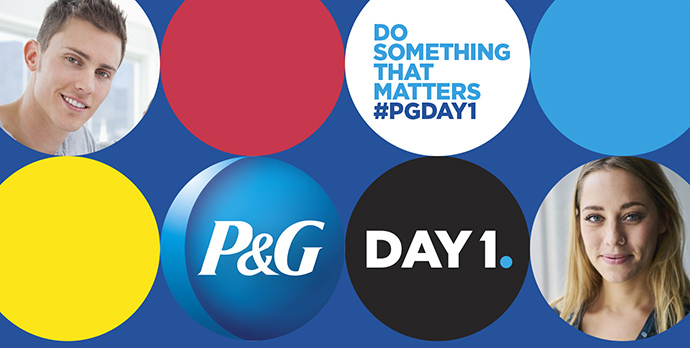 At Procter & Gamble, we are proud to say that we develop talents almost exclusively from within. This means we are not offering you your first job out of university, we are hiring you with the expectations you will grow into one of our future leaders - maybe even our next CEO. You will get a great experience in leading privacy compliance within a multifunctional team across 9 countries with close collaboration with the regional steering team. Furthermore, you will to develop rapidly within a leading organization, and upon successful completion of the Traineeship, you will have a chance to join P&G on a managerial role. Providing ongoing expertise and consultancy on GDPR compliance in marketing & sales organization and external vendors. Leading awareness & education of organization & vendors in GDPR compliance area. Providing dedicated trainings and ongoing capabilities development. Conducting regular inventory reviews & new vendors qualification. Independently leading compliance / risk assessment. Executing internal and external compliance audit. Reviewing and constantly improving ongoing process. Love working in a multicultural and diverse environment. Have good interpersonal skills to persuade, influence and adapt communication style to different situations and individuals. Love solving and analyzing problems to build creative solutions. Know how to set priorities and deliver what you commit to. Do you wish to be one of us and dive into global challenges with us? If you are interested please join us by submitting your application below. Please attach your CV in English when applying.